The fastest human-powered sport in the world! Short track speed skating is a form of competitive skating on an oval ice surface. In competitions, multiple skaters skate on an oval ice track with an ideal circumference of 111.12 m. The rink itself is 60 m (200 feet) by 30 m (100 feet), which is the same size as an international-sized “olympic size” ice hockey rink. Many local and regional speedskating organization practice and compete on an “NHL Hockey size” arena due to the wide availability of these facilities. Long Track events are held on larger ice surfaces designed specifically for speedskating competition. Top athletes pull up to 4 g’s on the turns. Long track speedskating is one of the most watched sports in the Winter Olympics. 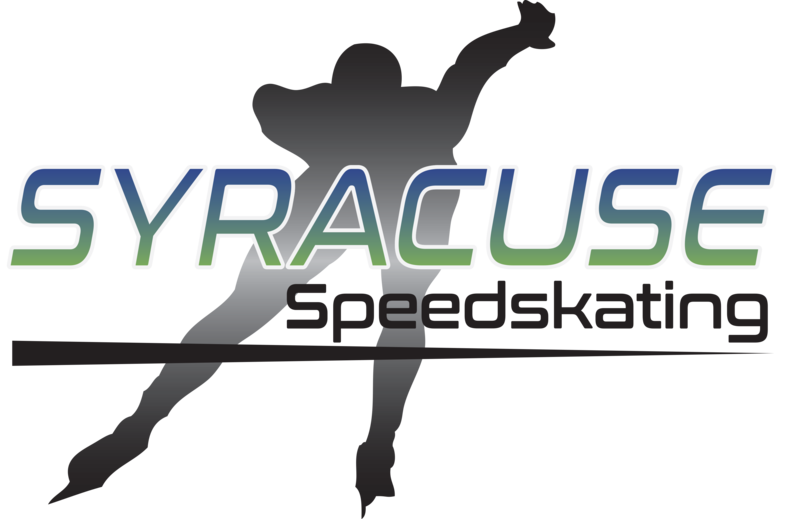 Local clubs like Syracuse Speedskating host Learn to Skate programs to introduce the community to the sport. With the focus on fun, new skaters will learn about equipment & how to use it, basic rules and drills. Welcoming to all, this introduction may lead to competition. Yes, even those at the masters’ level (age 30 and over) may still compete! The unique aspect of our sport is every single skater has begun their journey at a local club. Many Olympians will return to skate at the same practice session as the younger skaters. New skaters will work in the center of the ice performing basic drills and fine tune their technical skills. They may start to compete with their peers at local meets when ready. As skaters progress, they may decide to challenge themselves by developing goals. For those who strive to compete nationally, training will become more focused & intense to reach goals and race time qualifications. These skaters will often follow programs designed by experienced competitor coaches to help the aspiring skater reach their full potential. Some skaters show their talent, dedication and commitment to reach the elite level of the sport and will strive to earn a spot on a National Team, World Team, Olympic Team or all the above. It takes many hours of practice, training and competition to reach this level. 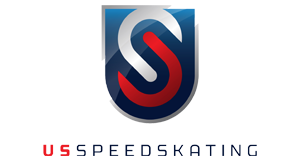 Syracuse Speedskating Club’s coaching staff includes both National and North American Speedskating Champions. They have developed numerous national and international competitors as well as skaters who have achieved National Championships.